On a Saturday morning last month, Shanna Osman left her Yakima home and went to Walmart for groceries. When she returned, one of Osman’s three sons met her in the driveway. “Mommy, Collin is in trouble; Daddy has him on the floor,” he said. Osman rushed into the house and found her husband performing CPR on Collin, her youngest son. That night, Collin was flown to Providence Sacred Heart Children’s Hospital in Spokane, where he died the following Monday. He was 8. Collin – who was adopted by Osman and her husband when he was 2 – had fetal alcohol syndrome, ADD, ADHD and showed early symptoms of bipolar disorder. He had expressed suicidal thoughts in the days leading up to his death on June 11. Collin’s story highlights what officials say are gaps in access to mental health services for young children in Yakima. Collin frequently experienced episodes of intense anger where he would try to hurt others – and occasionally himself – and often wouldn’t remember that he had done so afterward. Mental health experts classify such episodes as psychiatric emergencies, and say those who regularly experience them often benefit from inpatient treatment. This involves providing mental health services such as counseling and medication to patients over an extended period of time in a place, usually a psychiatric hospital, where they can stay overnight for days or weeks under the supervision of professionals. The closest facility to Yakima that provides inpatient treatment for kids under 11 is Seattle Children’s Hospital – nearly 150 miles away. The next closest is Kitsap Mental Health in Bremerton. Collin is one of two kids under age 12 to have committed suicide in Yakima County since 2004, the last year that data was available. The rates of mental illness in young children statewide is hard to quantify as state mental health studies have focused on kids over age 12. Nationally, the most recent study done on kids under 12 found one out of seven U.S. children ages 2 to 8 had a diagnosed mental, behavioral or developmental disorder, according to the Centers for Disease Control and Prevention. Health officials say Yakima has plenty of outpatient care – access to medication and personal counseling – for young children, especially compared to other rural areas of Washington. Yakima also is home to Two Rivers Landing, an inpatient facility that treats kids ages 11 to 17. However, without a facility that provides inpatient care to kids younger than 11, officials say options are limited for Yakima parents whose children experience psychiatric emergencies. The most common course of action is to take the child to an emergency room, where an on-call mental health professional from a separate agency can refer the child to an inpatient treatment facility across the Cascade Mountains. But there’s no guarantee that facility will have space, and parents say they shouldn’t have to drive more than 100 miles to get their child help in the first place. Collin took medication four times a day and regularly saw a counselor and a psychiatrist. Yet his outbursts were frequent, and sometimes proved difficult for his parents to handle. Once, Osman’s husband had to put Collin in a special hold, meant to keep him from hurting himself and others, after he started to attack Osman with a shoe. Osman and her husband were taught the hold by social service workers before they adopted Collin, and taught it to their oldest son who once had to use it to restrain Collin when their parents weren’t home. Shortly after Collin turned 8, his behavior during his episodes took a frightening turn. He began choking himself by swallowing toys or tightly wrapping clothing around his neck. Osman and her husband managed to calm him down during these instances, which were rare, but Osman said she thinks Collin’s attempts to choke himself continued to happen in secret, even when he wasn’t having one of his outbursts. Because Collin was on medication and received therapy, Osman and her husband thought they were doing everything they were supposed to in terms of providing support. One night, Collin choked himself until he passed out while alone in his room. Osman panicked. By removing any items Collin could use to hurt himself, Osman thought he would be safe until she could get him help. The next day, a Friday, Osman scheduled an emergency appointment with Collin’s counselor and psychiatrist for Monday – the soonest she could make one. That Monday was June 11, the day Collin died. Without a nearby facility that offers inpatient treatment for young children with mental illness, the best option for local parents with a child in crisis is to take him or her to an emergency room, said Courtney Hesla, an administrator at Comprehensive Healthcare, a Yakima-based nonprofit offering mental health and addiction services. There, staff can call mental health professionals to the hospital who can evaluate the child and determine if further treatment is needed. But without a nearby inpatient facility, it’s hard to get children under 11 the immediate help they may need, Hesla said. Just having one would make a huge difference, she said. Adding to the challenge, facilities offering inpatient care have a limited number of beds for patients. The inpatient psychiatric unit at Seattle Children’s Hospital received 1,500 inpatient visits in 2017, but has only 41 beds available. If a parent is adamant about not leaving the area, Hesla said officials from her office can assign the child a bed for inpatient mental health care in a local hospital or care center as long as the facility agrees. But Hesla said most facilities won’t agree, since they have to ensure they comply with several complicated regulations most aren’t equipped to handle, such as having a mental health professional see the child daily and developing individualized treatment plans. If the mental health professionals decide a child needs inpatient treatment, they’re required by state law to refer the child to an inpatient facility as long as they have the parent’s permission, said Megan Kelly, Kitsap Mental Health chief operating officer. But the criteria for child referrals, such as determining if the child poses a serious risk to themselves, are hard to meet, she said. It’s unclear if Collin would have met the criteria. Osman, who never took Collin to the emergency room during his outbursts, said he likely wouldn’t have because his suicidal ideations weren’t always apparent. On the day Collin hanged himself, “he wasn’t having a bad day, he wasn’t having a bad moment, he wasn’t freaking out, he was just in his room,” Osman said. If Collin had been referred to an inpatient unit in Seattle, Osman is skeptical of how much it would have helped. His moods were unpredictable, and the chances that he’d be in crisis and need emergency help while they were in Seattle were slim, she said. All this aside, Osman and local mental health advocates say it’s unreasonable to expect people to drive to Seattle when a facility nearby would be more practical. “They can’t expect someone who lives (nearly) three hours away to drive there with their child when their child’s whole life is in this town,” she said. Yakima resident LeAnn Molhair’s son, Joshua, spent three different multi-week stints in the inpatient psychiatry unit at Seattle Children’s Hospital when he was younger. Now 13, Joshua was diagnosed with intermittent explosive disorder as a child. Similar to Collin, his mental illness makes him prone violent outbursts. But unlike Collin, Joshua has always been big for his age. 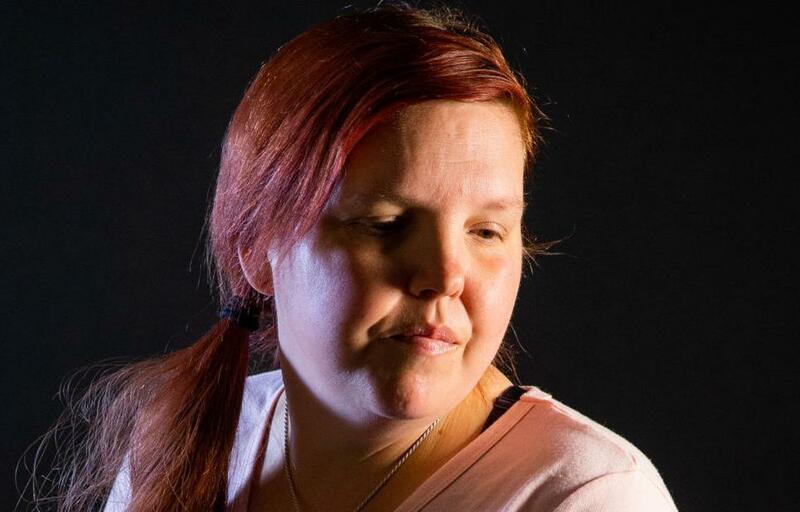 Molhair took Joshua to Seattle Children’s Hospital following three particularly violent episodes, but getting him there was a challenge for her. In one instance, when Joshua was 10, he destroyed thousands of dollars worth of items at Terrace Heights Elementary during an outburst, and was escorted to Comprehensive Healthcare by a Yakima County sheriff’s deputy. At this age, Joshua weighed roughly 150 pounds and was nearly 5 feet tall, Molhair said. Comprehensive Healthcare referred Joshua – who was still in the middle of an outburst – to a local hospital, where staff told Molhair that he needed to be taken to Seattle Children’s Hospital. So Molhair padded the inside of her Chevrolet Tahoe with pillows and called two family members to sit in the backseat with Joshua while they drove to Seattle in case he needed to be restrained. On the way there, Molhair had to pull over twice to help her relatives control him. Barriers in the way of mental health services for children who experience crisis are unacceptable, says Deanna Roy, program director for Yakima’s National Alliance on Mental Illness branch. “Anybody in a mental health crisis should have access to treatment, assistance and help, but unfortunately that is not the current situation – especially for children,” she said. Roy recommended parents whose children suffer from mental illness seek help from police and emergency rooms when their child has a mental health emergency, since that’s all they can do. In the meantime, she said those parents should seek out families who are in similar situations. They can do that by joining a support group, she said. It’s hard to fathom how someone as young as Collin could consider suicide. Experts say the key to understanding child suicide is understanding how children react to their emotions, especially when they have a mental illness. Kids tend to respond to their emotions through behavior, said Tim Shields, the director of evaluation and treatment facilities at Comprehensive Healthcare. An adult recognizes depression as an emotion and knows how to respond to it, but all kids know is that something is wrong, and their reaction to that feeling can be irrational or impulsive, he said. “The way adults conceptualize suicide is this idea of carrying around sadness and pain and anguish for so long that we can’t take it anymore, and for kids it’s more in-the-moment, ‘I don’t like this feeling, I haven’t liked it for awhile, I don’t know what to do with this,’ so they act out behaviorally,” Shields said. That “acting out behaviorally” can manifest itself as hyperactivity, aggression toward others, or – in rare cases – self-harm and suicide, he said. Self-harm and suicidal statements get strong reactions from caregivers, and kids who want attention remember that, he said. No matter how often a child makes suicidal statements, Shields warned parents to take them seriously – even if they think their child is making them just to get attention. “They still have a need they’re trying to express, so we should respond to it,” he said. Adding to the phenomenon is a child’s inability to completely understand suicide. A child might know what suicide is – they most commonly learn about it through television or movies, or from stories they hear – but they often don’t fully grasp its consequences, Shields said. Suicide among children is rare – which experts say partly explains the general lack of mental health inpatient facilities for them – but it’s not unheard of. Between 1999 and 2015, 1,309 children in the U.S. under the age of 12 killed themselves, according to the Centers for Disease Control and Prevention. This translates to about one suicide every five days in that time period, according to reporting done by CNN. In Yakima County, only two children 12 or younger – including Collin – have committed suicide since 2004. Because kids react to their emotions through behavior, it can be difficult for parents to tell the difference between abnormal behavior caused by natural influences and behavior caused by a mental illness, Shields said. If a parent is concerned about their child’s behavior, or thinks their child may have a mental illness, Shields recommended taking them to their family doctor’s office, which will have a mental health professional who can assess the child – as all doctor’s offices in Yakima do, Shields said. Additionally, a parent can take their child to Comprehensive Healthcare for an assessment. The last photo of Collin shows him on the banks of the Twin Sisters Lakes holding a small bass he had just caught. It was taken roughly a month before he died. He looks happy. His closed-mouth smile forces his freckled cheeks upward toward his eyes, causing them to squint. Osman said Collin was a wonderful kid who loved life. “He loved playing, being a boy, falling down and getting back up to just keep going. He loved to fish, loved video games, loved being with his brothers, loved being with his family. He loved music. Oh my god, that kid could rock to music. It was beyond believable,” she said. Collin’s episodes made Osman question her ability as a parent. But his disposition after his outbursts always reassured her. “I know as parents we were doing something right because at the end of the day, no matter what he’d said, no matter what he’d called me, no matter the bad things that happened that day he’d look at me and say, ‘Mommy, I love you,’” she said. But because of what she and others say is a gap in access to mental health services for local children, Osman will never get to hear Collin say that again. “I miss him so much. I would take the yelling and the screaming and him calling me bad names on a daily basis rather than live with the fact that my son is gone and I’m never going to get him back,” she said. Collin took medication, saw two mental health professionals, and received specialized attention in school. Osman says she’s not sure what else her family could have done, but thinks closer inpatient treatment may have helped. Parents shouldn’t have to drive to Seattle to get better care for their children; it’s that simple, she said. Osman continues to share Collin’s story with news outlets, government officials and state legislators in hopes that something will change. It’s too late for her family, but not for others, she said. Published: July 29, 2018, 8:45 a.m.